A useful addition to LMK’s range of hazardous area products is the THERMOSAFE® Rigid Top Hat Accessory. Designed to minimise heat loss and increase the efficiency of the heater. The addition of a THERMOSAFE® Top Hat has been shown to reduce the time required to heat containers. The Thermosafe® Top Hat is manufactured from a glass reinforced resin with handles fitted on either side to allow easy fitting and removal. 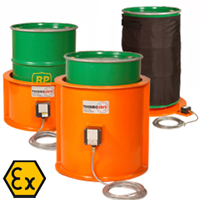 The Thermosafe® Top Hat can be used with the Thermosafe® types A/B and the Faratherm. 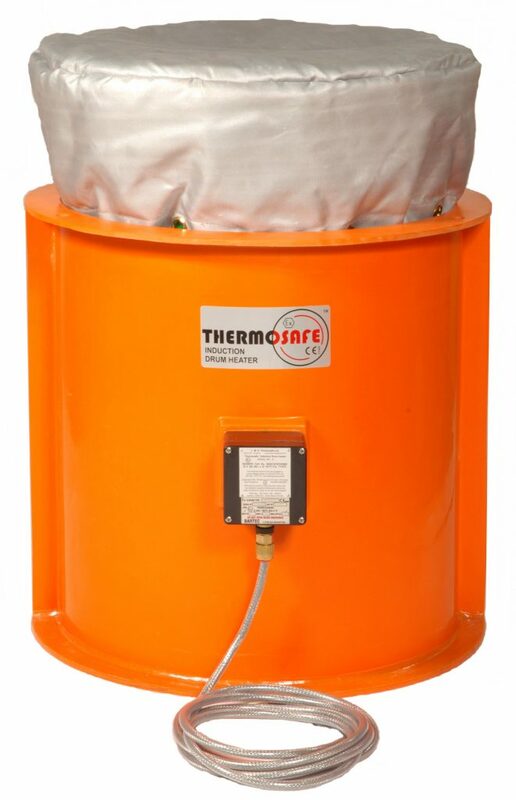 The Top Hat may be placed directly over the Faratherm when heating smaller drums. Typically drum wall temperatures are increased by up to 40C with the addition of a Top Hat. This may affect the hazardous area rating of the heating equipment. 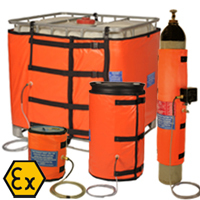 The Flexible Top Hat is a lower cost alternative for use in areas not requiring hazardous area certification. 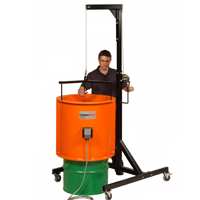 It covers the exposed section of 205 litre drums, increasing the maximum drum wall temperature by up to 50C.